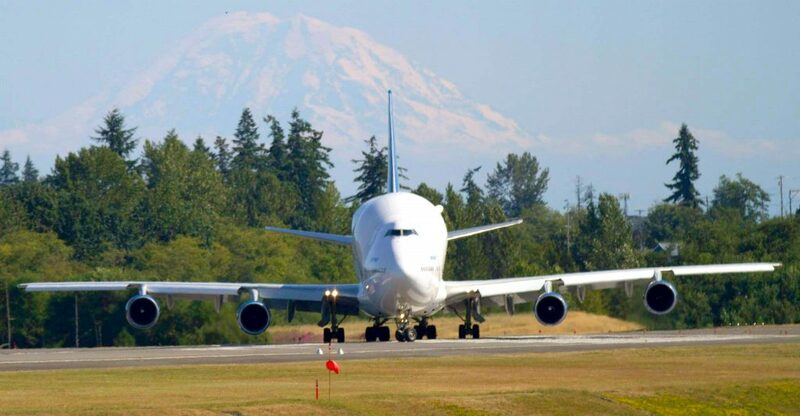 In the fall of 2018, Alaska Airlines will begin offering commercial flights out of Paine Field, which is a huge deal for Mukilteo and its surrounding cities! Alaska Airlines will start by offering 9 flights per day, which the airline estimates will help over a million people drastically shorten their commute times. In early 2018, Alaska Airlines will announce flight schedules and routes, and will being selling tickets. Get the full scoop here! Additionally, if you’re looking for a job in aviation, you’ll definitely want to check out Paine Field! A unique airport, it’s home to over 650 aircraft, a Boeing manufacturing plant, and five aviation restoration/tour centers. 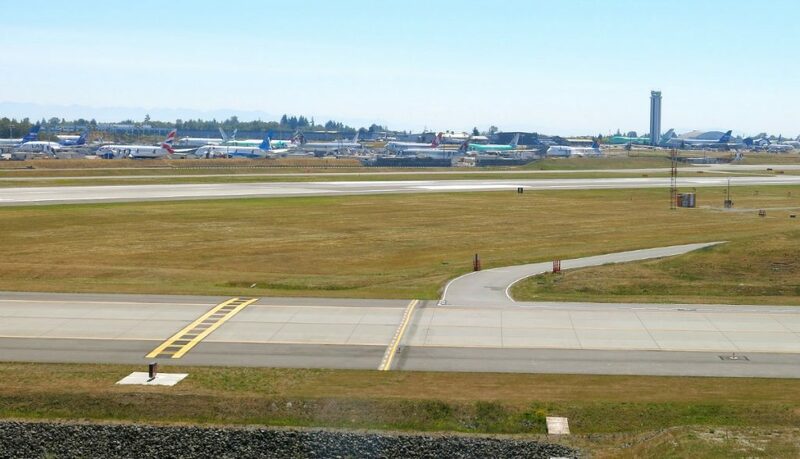 Paine Field provides high-quality services to customers and has brought nearly 76,000 jobs to the local economy. You can learn more about employment with Paine Field here. 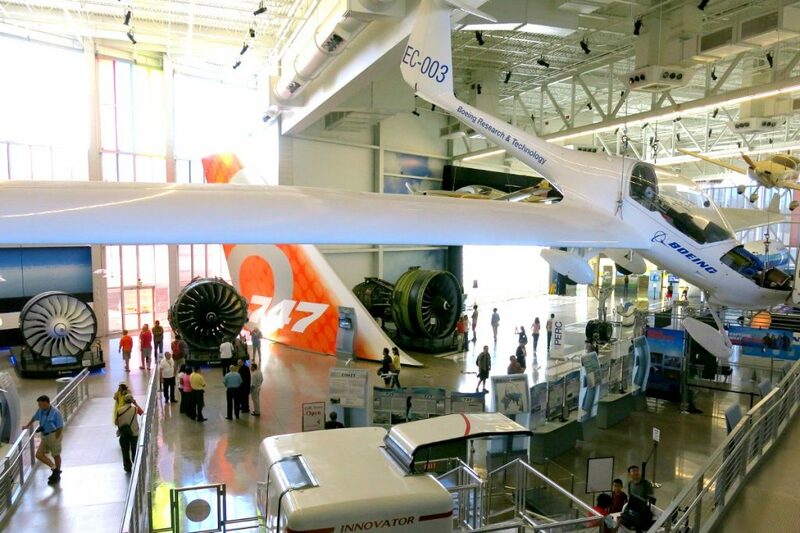 For a one-of-a-kind experience perfect for all ages, Aranka Fruehauf suggests the Future of Flight: “[I] recommend visiting Future of Flight Aviation Center,” she shares. Here “…you can see models of jet engines, design your own airplane and this is where you start the Boeing Factory Tour,” the only opportunity to publicly tour a commercial jet assembly plant in North America. Aviation and history buffs will love the Historic Flight Foundation! They offer a collection of the most important aircraft from 1927 to 1957, fully restored and airborne. You can experience the roar of a classic engine, watch the restoration process in action, and marvel at the results of innovation from some of the greatest trailblazers. Give your kids a deeper education at the Flying Heritage & Combat Armor Museum. With interactive exhibits featuring a rare collection of authentically restored aircraft, tanks, and other technologies from World War II, your children will get a look into the past and a glimpse what it takes to preserve these artifacts for the future. For an event everyone will love, Aranka has a recommendation: “Once a year we have Aviation Day,” she shares. “It’s a must-do, especially if you have kids… they can take a flight and meet the pilots, view one-of-a-kind aircraft, and watch flying demonstrations.” This year’s Aviation Day has already passed, but be sure to keep your eyes open for 2018! Summertime is perfect for air shows, and Mukilteo has some of the best. “The air shows are fantastic to watch,” shares Greg Buehler. “I’m sure that future pilots and engineers have been inspired by witnessing [these exhilarating air show events].” FHCAM’s annual Skyfair is coming this July and will feature vendors, kids activities, and a fantastic flying show at 1:30pm. You can find a full schedule of events here.